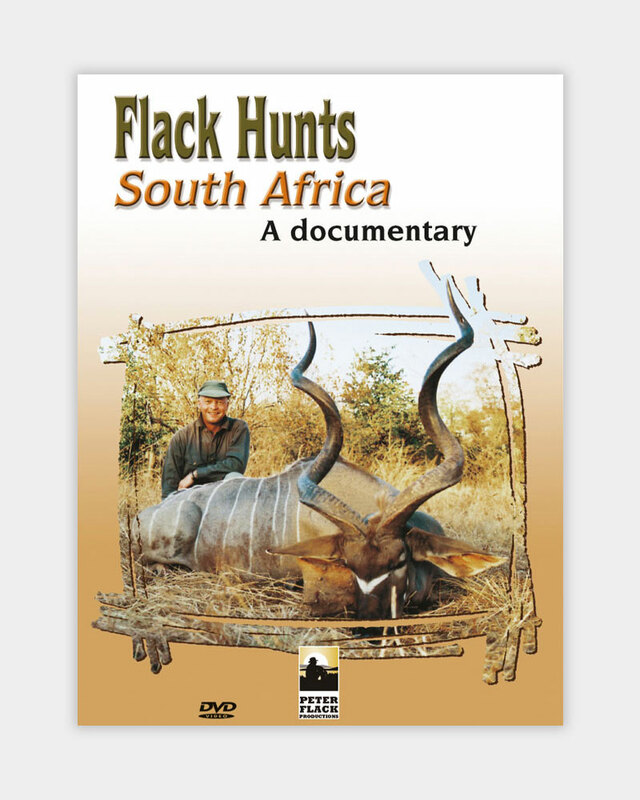 It is no exaggeration to say that this comprehensive 2 3/4 hour detailed documentary breaks new ground for hunting films. Inspired by the book which Peter has just completed, “Safari Guide”, this DVD is an objective reference source and planning tool specifically designed to provide the viewer with an in depth visual experience of all the important aspects of hunting in South Africa. It is no exaggeration to say that this comprehensive 2 3/4 hour detailed documentary breaks new ground for hunting films. Inspired by the book which Peter has just completed, “Safari Guide”, this DVD is an objective reference source and planning tool specifically designed to provide the viewer with an in depth visual experience of all the important aspects of hunting in South Africa. The latest high definition format, outstanding footage and country A-Z coverage of essential information sets the new benchmark. This 2 3/4 documentary shows the viewer what to expect on a hunt in South Africa. Professionally filmed and edited by an award winning team on the new High Definition format, the camera follows Peter Flack through Immigration, Customs and Firearms Clearance at O. R. Tambo International Airport and then out into Johannesburg for a look at the city and some of its shops and hotels, before leaving for the four major hunting habitats where 80-90% of all hunting occurs – the coastal forests and thorn thickets of KwaZulu-Natal, the rolling red dunes of the Kalahari Desert, the tree savannah region in the Lowveld near the Kruger National Park; and the semi arid, inland plateau comprising the Great Karoo in the Eastern Cape. The four hunts take the viewer after the iconic game of each region, namely, kudu, nyala, bushbuck and common reedbuck in KwaZulu Natal, west into the Kalahari Desert for gemsbuck, red hartebeest and springbuck, north east to the Lowveld for waterbuck, blue wildebeest, zebra and impala; south to the Great Karoo for black wildebeest, blesbuck, mountain reedbuck and grey rhebok. On this 6000 mile trip around the country, Peter will show you an overview of each of these different habitats and the many animals indigenous to them. There are sections dealing with the clothing and the equipment, medical kit, and firearms and ammunition you may want to take, some of the poisonous snakes, scorpions and spiders you may want to avoid, what kind of preparations you need to make, and finishes with a visit to a leading taxidermist to discuss trophy care. Inspired by the book which Peter has just completed, “Safari Guide”, this DVD is an objective reference source and planning tool specifically designed to provide the viewer with an in depth visual experience of all the important aspects of hunting in South Africa.